Oh, those chairs have a perfect aged chippy look! Love the style and color too! So glad the homemade chalk paint worked well for you. Isn't it fun to mix it up? I feel like a made scientist!And it's nice to have options! Wow! Thank you so much for posted this. 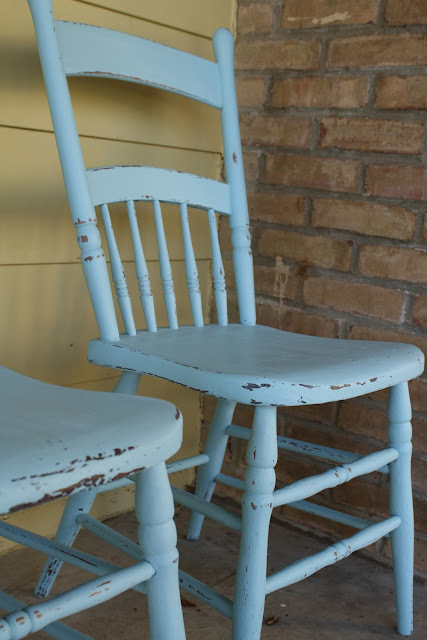 I have been thinking about making my own chalk paint but you gave me the push I need. I didn't know I could get plaster of paris at Home Depot...thanks for that tidbit. I have a bunch of furniture lined up. These chairs are beautiful! I absolutely love them! If I lived closer, I would be buying them. Are you selling them or did I imagine that LOL! Love them Cassie! It looks really great Cassie, I guess I need to try to make my own chalkbaord paint! Thanks for telling us the finished color comes out a little lighter too...good to know! Cassie I'm so glad you posted on making chalk paint! I'm dying to try it! Love the color on the chairs.....robin's egg blue prettiness. Cassie is so brilliant! I didn't know you could make your own chalk paint like this. Those chairs are SO charming. Awesome Cassie! Thanks for the tip on the chalk paint! Makes me want to try it even more. Love the color you used! They look great! I love the way they turned out, Cassie! Thanks for showing us your process. Cassie's makeovers are always fabulous, but I just LOVE this one! The chairs look so authentically old! 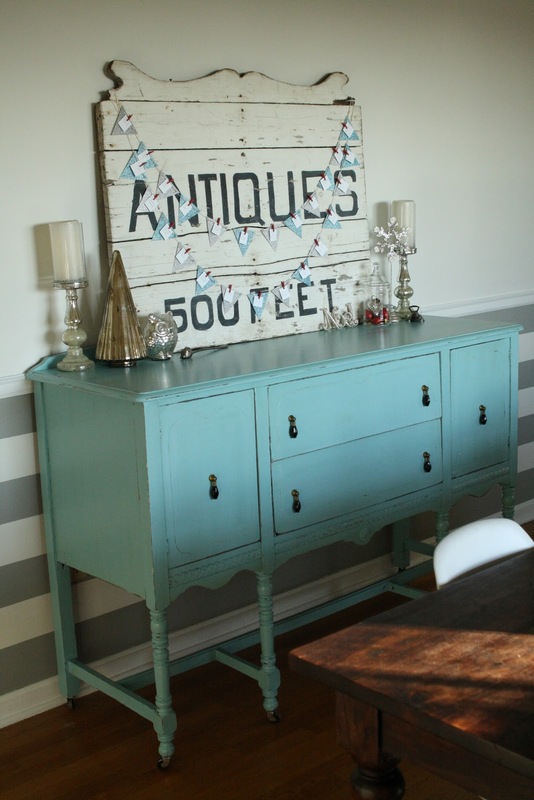 The homemade chalk paint sounds good, too. BEAUTIFUL!!!!! If I lived closer to Cassie, those chairs would be MINE!!! 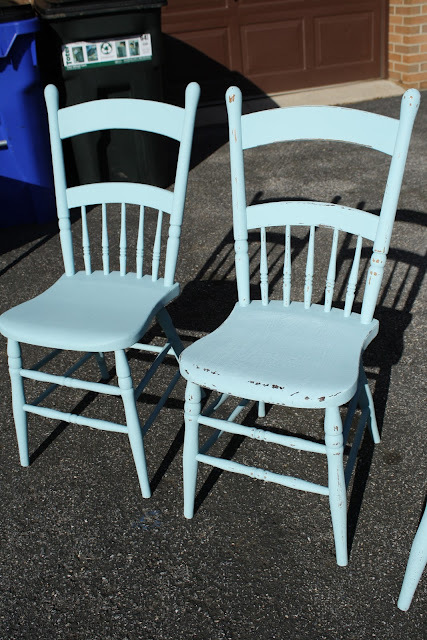 I'm intriqued with the homemade chalk paint. I'll have to give this a try. I love Cassie's chairs and one of my favorite colors! She did a fantastic job on these. Cassie is such a sweetheart and always comes up with another wonderful furniture transformation. How fun you are both going to Haven and get to meet one another! I hope to be able to go.